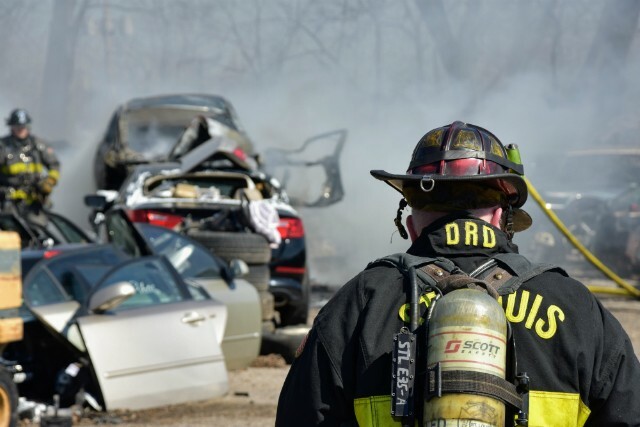 St. Louis firefighters work to put out cars in a salvage yard near Manchester Avenue. 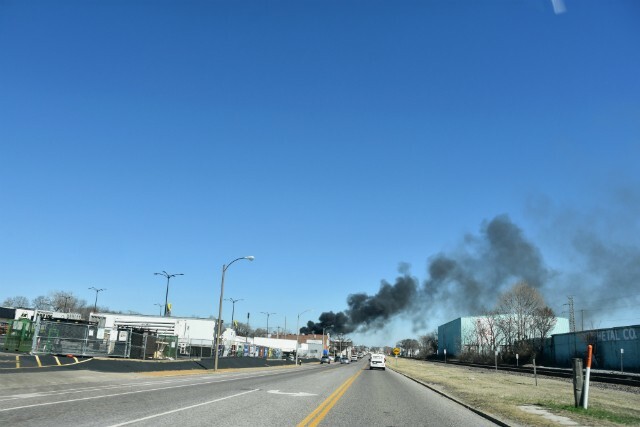 If you were within a couple miles of Dogtown this afternoon, you probably spotted that column of black smoke in an otherwise flawless blue sky. Multiple cars burned in a salvage yard behind Affton Auto Solutions, which is near the intersection of Manchester and Sublette avenues. 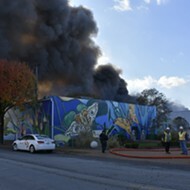 The blaze began about 3 p.m., and firefighters on scene said they were not sure how it started. 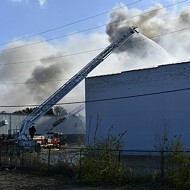 But they were able to contain it to the yard before it spread to surrounding buildings. The area is an industrial artery along Manchester, full of auto body shops, chemical companies and construction businesses. Thick, black smoke poured out of the cars as fire trucks navigated the narrow roadways and stretched their hoses up the hill on Sublette. 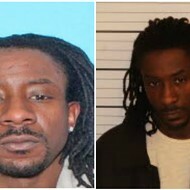 It doesn't appear there were any injuries. 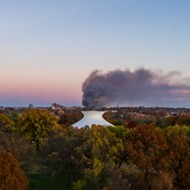 The smoke from the burning cars was visible for miles. 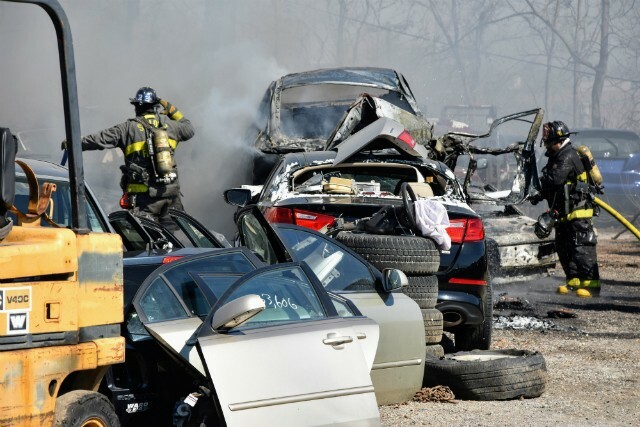 A car on a flatbed was torched along with surrounding vehicles, but firefighters put out the flames before they spread farther.